commented on "Well we didn't get the deluge here at the Camelot of South Australia- just lovely soaking rain. It's a big year in our garden for the ..."
Well we didn't get the deluge here at the Camelot of South Australia- just lovely soaking rain. It's a big year in our garden for the old mulberry tree, the nashi pears, apples, peaches and herbs! 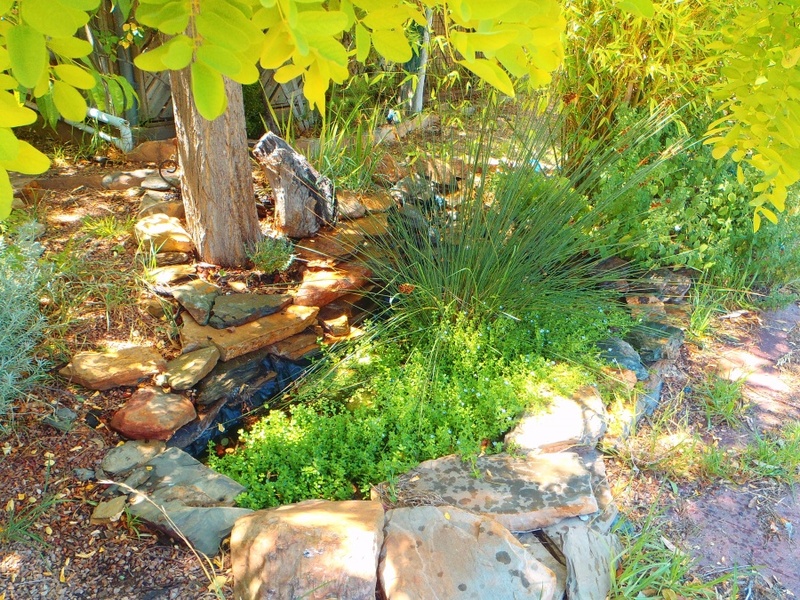 The pond is overgrown with brahmi- a herb which is being demonstrated using human trials to assist in retaining new information, a big problem as we age- I know from trying at 62 to retain all the material from my psychology studies! It is beneficial to the hippocampus, has some efficacy in reducing anxiety and with other herbs may assist in cases of Alzheimers.